Things are looking up for the Sega Megadrive, as after already experiencing the fantastic platformer of L’Abbaye des Morts, which was released as a port ROM. 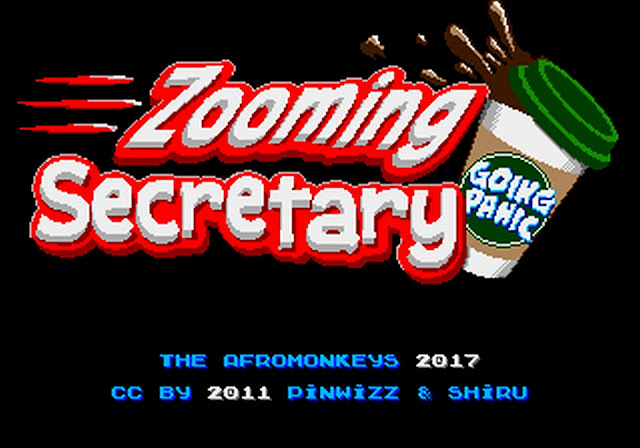 We now have a new game to contend with called ZOOMING SECRETARY: GOING PANIC. Now unlike the platformer of the previous game, this one is being developed by The AfroMonkeys and is a frenetic challenging game, whereby you have to answer the phone and check files according to the call as soon as possible or you might get fired. - Beware of your bosses and other fellows too! Some of you may remember this game that's because it was previously seen on the NES as a homebrew developed in a collaboration with PinWizz, who provided all the visual design and some gameplay elements which can be seen in the video above. This new Sega Megadrive version however is being developed by a team of people such as Jack Nolddor, Mun, Daniel Nevado, Felipe Monge, Beyker, and Alfonso Martínez, which to be honest looks rather good!